With Tableau 2018.3 comes density heatmaps, a feature I've been playing with quite a bit and love it for when I have a dense concentration of points and a regular scatterplot doesn't work well. Transparency can help with dense dots, but I think the heatmaps work much better. To give it a test, I downloaded every pitch for Clayton Kershaw and Justin Verlander (two of the best pitchers in Major League Baseball) from 2008-2018 from the great stats website Baseball Savant. Every time I look at baseball data, I'm amazed at the detail of the stats covered; the data far exceeds anything that is covered in other sports. After downloading the data, I built the small multiples view below for each pitcher so that I could see their progression through the years. Click on the images for the interactive versions. I love how the data shows me how each pitcher has gotten better with their "misses" through their careers. For example, when they throw sliders for balls, they now tend to miss below the strike zone. This is a great sign that they have command of their pitches and are less likely to miss in an area where the batter can take advantage. The density heatmap feature will most likely be used by most people on maps, which makes sense, but consider looking at it as an alternative whenever you need to plot x/y coordinates and have lots of points to display. When Eva told me about this week's data set, all I could do was chuckle. Being a huge fan of the squatty potty (and the dad of four kids), I knew this was a data set that was ripe for analysis. Unsure of what the squatty potty is and WHY YOU NEED IT, watch this video...it's indeed magical! The design of the responses as a stacked bar chart is easy to understand. The responses are ordered from highest to lowest. Do something quick (like 10 minutes); I'm late for MM for the first time ever, but it's ok because I'm on holiday with my Dad and Brother. With that in mind, here's my Makeover Monday for week 44 2018. 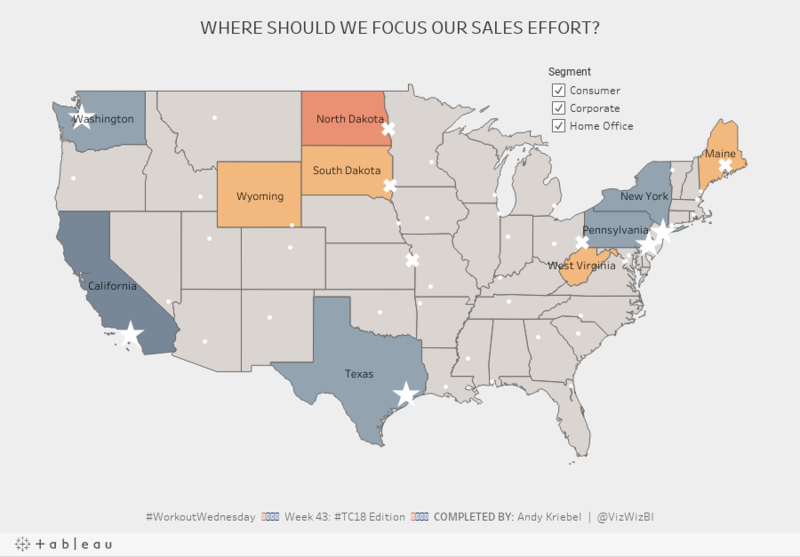 Workout Wednesday: Where should we focus our sales effort? This week's Workout Wednesday was a live edition at TC18 hosted by Ann Jackson and Luke Stanke. You can get the challenge requirements here. I worked with Lorna Eden (former Data Schooler) and we nearly finished in the allocated time; the only part we could get quite right was the shapes. I headed back to my hotel room after the session because I had to finish it (plus I have a presentation to work on). What we did wrong was quite a dumb oversight. In the calculation to create the shapes, we were using the wrong dimension. How dumb of us! Anyway, we're done now. It was really fun to try to get it done in 50 minutes. So close! Yesterday at TC18, I had the pleasure presenting with Jeff Shaffer for the fourth year in a row. Three years ago we presented about Dear Data Two, the past two years we had a tips battle, and this year we decided to switch it up and see how many charts we could build in 50 minutes. We think we made it through about 70 charts, some of those by Jeff were incredible and had never seen before. The recording will be released by Tableau a couple weeks after the conference ends. Click on the image below (or here) to download the workbook with all of my charts. It's #TC18 and we're hosting a Makeover Monday Live with 1000 people. 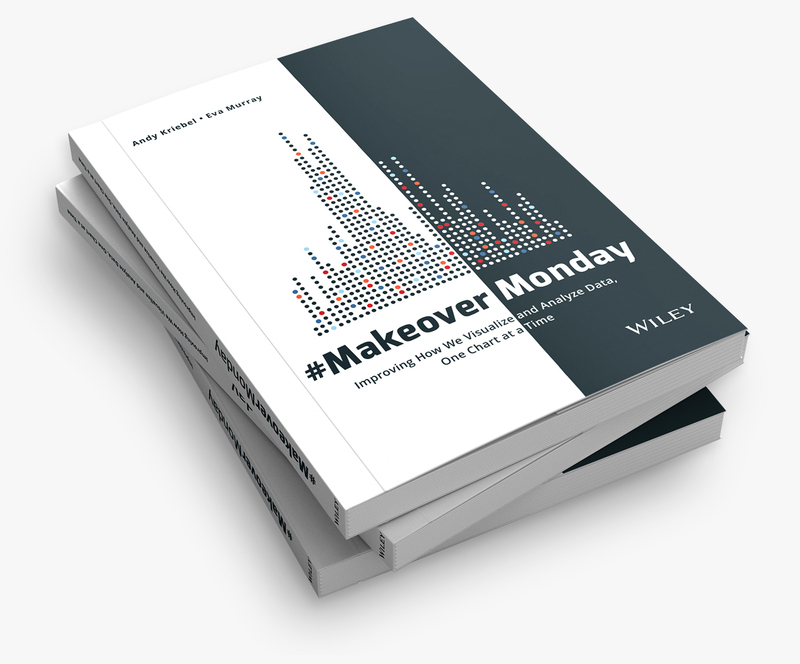 I thought it would be fun to use (1) a simple data set and (2) my very first Makeover Monday viz. We decided to use this viz so that people could see how practicing week after week can improve their skills like it has mine. The title is clear and tells the reader what the data is about. The user can sort the data based on their preference. The placement of the sort options encourages interaction. The rank helps show where a team falls amongst the league. The color of the bars goes with the beer theme. The data source is not listed. Having so labels on the end of every bar makes the viz too busy. The beer mug icons are completely unnecessary. The font looks very small. The new data set has data for 2013-2018 (except 2017), so I wanted to make sure I looked at the data over time. Made the title more descriptive so that the user (hopefully) understands what the line represents. And here's my Makeover Monday week 41. Click on the image for the interactive version. I can't wait to see what everyone creates at MM Live! If you're not a part of The Information Lab's new Meetup group Let's Talk Data, then you're missing out on some great opportunities for FREE learning. Join the group to get all of the latest information. We host many events at the new home of The Data School in London and webinars anyone can join from anywhere in the World. 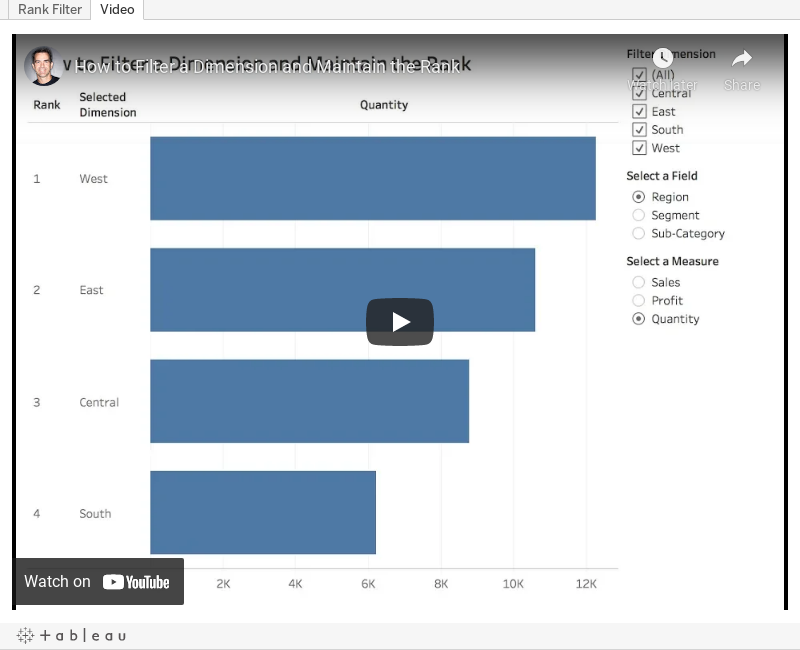 Monday, I ran a free Tableau Zen Master Tips & Tricks webinar. I changed it from the previous webinars I ran last year; this time I focused on charts. I wanted to see how long it would take me to build 82 charts. It took a little under 80 minutes. This was a rehearsal of sorts for the Tableau Speed Charting session Jeff Shaffer and I are running at TC18. Click on the image below to access the workbook with all of the chart types. I've also embedded the video from the session in the "Video" tab. Enjoy! As this is my 1000th blog post, I wanted to write about Tableau Public and what it means to me. When Tableau Public launched back in 2010, I had no idea how much it would change Tableau the product, Tableau the Community, and me personally. The impact on how people see and understand data would not be what it is today without Tableau Public. I'm 100% convinced of that. Why? Tableau Public is the heart and soul of Tableau. Tableau Public is THE BOND that holds the Community together. Tableau Public is THE PLATFORM for sharing our work. Tableau Public is THE SOURCE for getting inspiration from others. Without Tableau Public, learning, sharing, and exploring would be significantly more challenging. Without Tableau Public, there would be no Makeover Monday. There would be no Makeover Monday book. There would be far less people improving their skills week by week. There would be far less engagement within in the Community. The thousands of people that have participated, never would have engaged. If there was no Tableau Public, would these people have ever found Tableau? Without Tableau Public there would be no Viz for Social Good. There would be no Workout Wednesday. There would be no Sports Viz Sunday. Without Tableau Public there would be far fewer people practicing data visualization and data analysis week after week through these Community projects. Without Tableau Public there would far fewer friendships born out of a common love for data. There would be far fewer people finding the careers they love. Without Tableau Public, would there be a Tableau Community? Picture this: you've purchased a new office and need to hire a designer to help you make the space yours. How would you go about hiring this person? Would you scan LinkedIn and look for people with the title "Interior Designer" or look for people that went to design school? Of course you wouldn't. You would ask to see their portfolio. Imagine a designer coming in to meet you and not bringing a portfolio of their work. Would you hire them? Of course not. You're interested in WHAT they've done, not where they went to school. Their portfolio IS their CV. From a Tableau perspective, Tableau Public is the new CV. The secret to hiring people that are great at Tableau is to look at their Tableau Public profiles. If someone doesn't have a Tableau Public profile, don't hire them. Those people, more often than not, don't understand the ethos of the Tableau Community. And if they aren't part of the Community, I would seriously question their skills. How can you evaluate their work if they don't have a portfolio? Simple...you can't! Eva and I have been asking people to tell us how Makeover Monday has helped them get a job they love. Person after person has told us that their Tableau Public profile was the major differentiator for them getting the job. People have been able to DEMONSTRATE their work, live in front of those interviewing them. They've been able to prove they have the skills needed for the role. Those companies may have asked for a CV, but what really mattered to them was WHAT people have done. Through Tableau Public, you can see the progression of someone's skills. You want to look for people that have clearly shown improvement. Without Tableau Public, how would any of these people have been able to show their progression? 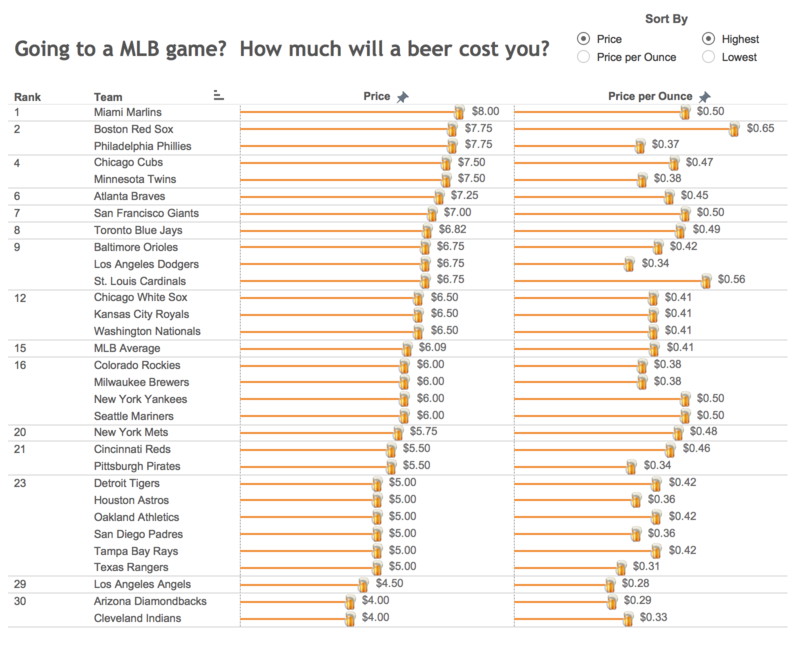 Tableau Public is a platform that allows you to practice. You can build chart types you have never built before. You can practice data analysis, storytelling and design. Without Tableau Public to inspire each other, how would we know where we need to develop? The development of these skills allows you to showcase your work. Having Tableau Public to share you work helps others see your passion and the quality of your work. It's this combination of passion and quality that distinguish high performers from others. Without Tableau Public, how would people showcase their work? What has Tableau Public meant to me? First and foremost, it's been a way for me to share what I'm learning. Yes, I write about each technique on this blog, but I can actually share the workbooks and the techniques by uploading the workbooks to Tableau Public and allowing people to download them, try to recreate them, whatever they want to do with them. Tableau Public, the platform, encourages sharing and I'm grateful that Tableau Public has provided me with that opportunity. Tableau Public completely changed my life. 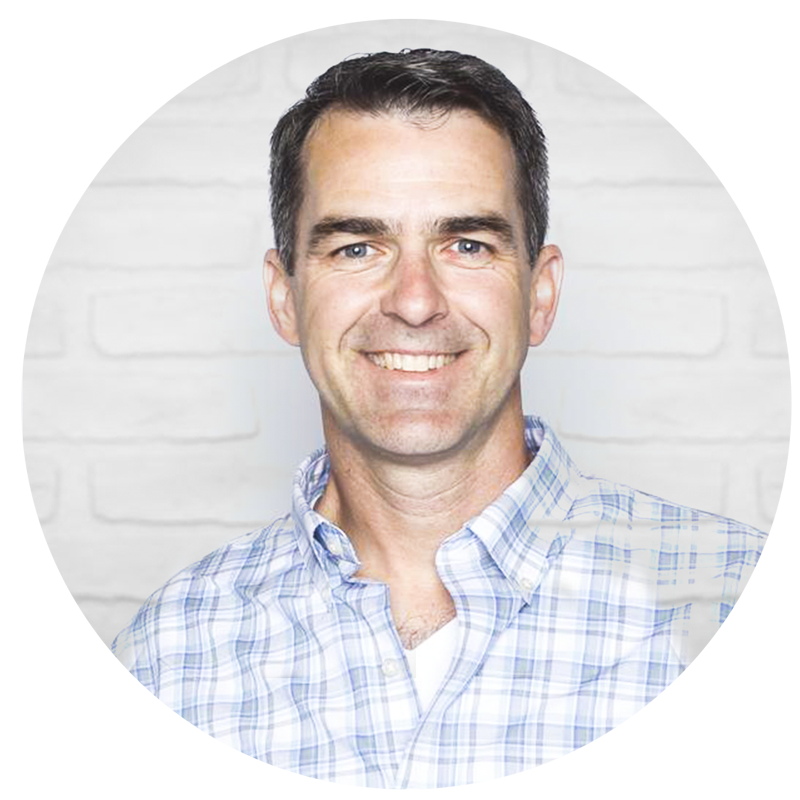 If I didn't have a Tableau Public profile, I would not have gotten my job at Facebook. If I didn't have my Tableau Public profile, would Tom Brown have taken a chance on me to run The Data School? I'll never know, but I'm certain that Tableau Public exposed me to these opportunities. When I share, I expect nothing in return. When you share freely, opportunities will come to you as they have to me. Without Tableau Public, I would not have been able to travel the world introducing people to Tableau for the first time. Tableau Public allows me to show people what is possible in Tableau. All I need to do is show them the Tableau Public gallery. People think we're all crazy for this addiction we have to Tableau. I'm perfectly ok with that because I know Tableau Public provides me an opportunity to learn every day. That leaves me with only one thing to say...thank you Tableau Public. Here's to many more years. Us Americans have been through an interesting few weeks. 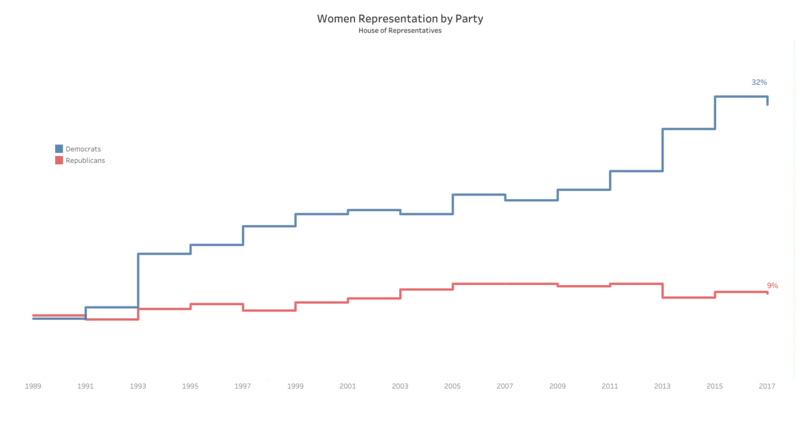 We had the Kavanaugh hearings that put a focus on the women in the Senate, so when Stephen Pelkofer recommended his viz for a makeover, we thought the timing was right. The community seems to enjoy topical data set. It's simple and easy to understand. The stepped lines are necessary. The ratio of the chart looks strange to me. Adding a y-axis would add context. What a super useful workout this week from Ann Jackson! Get all of the requirements here. The idea was to build a dashboard that allows the user to highlight the top and bottom panes based on a set of options. There are so many use cases for this in a business setting. Limiting the data to 2017/2018. I chose to do this via a data source filter so that I didn't have to worry about adding the date field as a filter and add it to context. I knew I had to calculation right for the label for the latest month, but for the life of me I couldn't get it working. I felt like I needed another axis for the mark, then it dawned on me like a slap in the face how simple the solution is. Here's a gif of the working solution. Click on the gif for the interactive version. It's been an eventful week in America, but irrespective of your politics, this week's Makeover Monday is something we can all feel positively about. 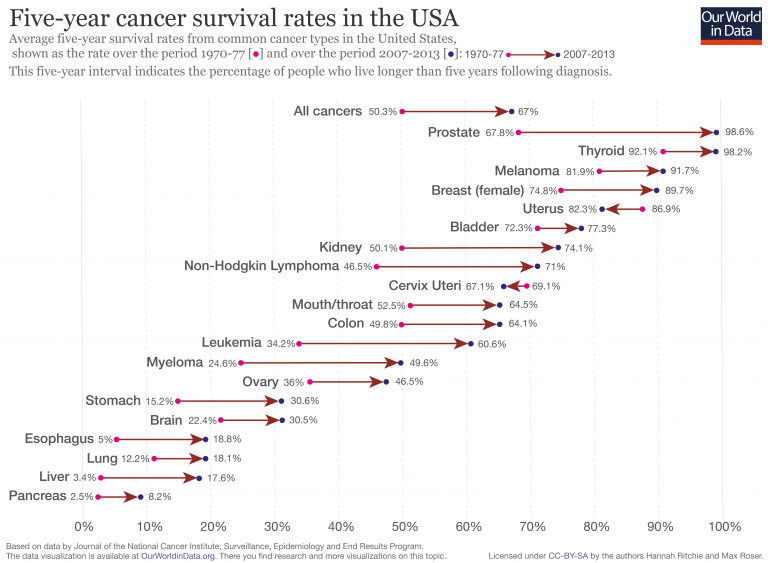 Cancer survival rates are increasing! The subtitle is long. I had to read it a couple times to understand it. The viz overall feels kind of busy. By using directional arrows, the change over time is lost. The change isn't linear, but the design could be interpreted that way. Color the arrows by increasing or decreasing. Uterus and Cervix Uteri cancer survival rates have decreased, but that could easily be missed. Used a set to split the view into the top 9 on the left and the rest on the right; my first version was one long viz, but I didn't like how I had to scroll. 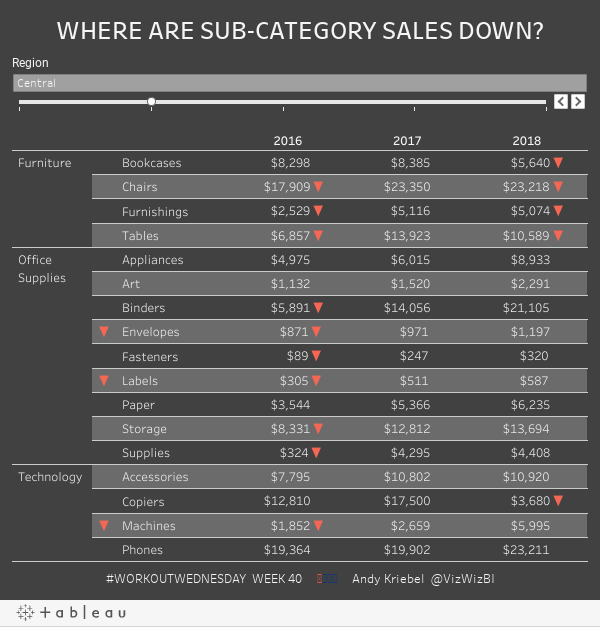 Workout Wednesday: Where are Sub-Category Sales Down? Three weeks in a row now! Feels like I'm on a roll. This week, Luke challenged use to create an actionable table which alerts users to the problem areas very quickly. This is a neat way to get people to begin the journey from Excel tables to interactive visualizations. Read all of the requirements here. I had used a lot of the tricks before, so I had an idea where to start. This video should be helpful for the indicators. I ended up using the modulo function along with an INDEX table calc to find the odd and even numbered rows so that I could format all of the text correctly. Getting the year to align correctly with the numbers was the toughest part. I could tell by looking at the viz that the text was centered, yet it was made to look like it was right-aligned. Therefore, I had to come up with a solution for padding the text on the left for smaller numbers. I won't give away how I did it. Really good challenge. I particularly enjoy the workouts that have practical use cases for every day work. Thanks Luke for the challenge! For those unaware, Cole Knaflic runs a monthly data viz challenge over on her website. These are a great way for you to flex your data viz muscles. I haven't participated yet, until now! I'm going all the way back to her first challenge in January: Annotated Line Graph. For me, it's been tough to learn the balance between enough text for context and too much that overwhelms. I feel like I'm splitting the difference here, by highlighting the highs and lows of Tableau's stock price. Thanks for the challenge Cole! Click on the image for the interactive version. This tip is inspired by Craig Bloodworth, CTO of The Information Lab and Tableau Zen Master Hall of Fame member. Craig demonstrated this when an attendee at our Zen Master session asked how you can filter a dimension and maintain the rank. I gave one solution which would show and hide dimensions, but Craig's is way way better. It's a neat way of using table calcs to filter a dimension since a table calc filter happens AFTER other table calcs are computed. Also, in the video I reference our new meetup, Let's Talk Data. If you're in London, there will be tons of events at the new home of The Data School. If not, don't fret! We have some virtual events as well. With that, here's the how you can filter a dimension and maintain the rank. For Workout Wednesday week 39, Rody challenged the Community to create a shaded area chart with a line on top and marks for each month. That's three mark types, but Tableau only supports two at a time. In addition, the axis label has to be vertically aligned, that is, each letter in the word has to be below the preceding word. I used a vertical container with a 50px blank on each side. The rest of the viz is in a horizontal container in the middle of the vertical container. I added spacing to the outside edges of the black line to get the spacing right. I added some spacing at the top of the parameter and the dynamic title. The parameter is in a horizontal container with a blank on either side set to distribute evenly. I used an area chart on one axis. I used a line chart on the other axis. I used an ascii ● as a label on each mark on the line. This has to be centered vertically and horizontally for it to appear in the correct place for each month. For the vertical label, I used this knowledge base article to add a line break after each letter. Since there are 8 letters max, my formula has 8 lines and then I trim the text. I'm sure there's a better way to do the vertical labels using the length of the string, but this works. In programming, I'd use a WHILE loop. Thanks Rody!